Saved by music in his darkest days, 69-year-old Chinese conductor Tang Muhai says that for him it brings pleasure, hope and, most importantly, spiritual support. Tang Muhai says: “Music is not just about the notes on scores. It is about the emotion and ideas conveyed through the melodies." Startled at first when the man suddenly blocked his way, Tang smiled back and had a chat. “He was a retiree with no professional background but a big interest in classical music. I felt so honored to be recognized by him on the street, as it proves what I have always believed ─ music is for everyone,” says Tang. Music, for the 69-year-old Chinese conductor, brings pleasure, hope and most importantly spiritual support. Tang, who has recently been appointed as the resident conductor for the upcoming 20th Shanghai International Arts Festival that begins in October, says his childhood was paradise with his artist family in Shanghai. His film director father Tang Xiaodan and film editor mother Lan Weijie gave their children plenty of space to develop their interests and talent. Their older son Tang Muli became a celebrated painter, while Tang Muhai has always been hooked to music. Capable of precisely repeating melodies from the radio, Tang Muhai got his first piano at the age of 6. Apart from practicing masterpieces, he much enjoyed making his own melodies, writing down, as he says, his thoughts in music. His mother suggested professional training at the Primary School affiliated to the Shanghai Conservatory of Music, but Tang was not willing to leave his classmates. “I did love music. But it was such a matter of course for me at that time, just like eating and drinking; it had never occurred to me that I had to strive for it,” says Tang. But things changed when he was 16 and the “cultural revolution” (1966-76) took his paradise away. Tang’s artist parents were sent to the countryside, and the piano was confiscated together with other “improper” properties of the family. Tang tried to keep his connection with music by joining a military art troupe, but was forced to leave four years later. He became an ordinary worker at the Shanghai No. 2 Forging Machine Factory. He was thrilled to discover a shabby piano room where workers rehearsed for their art activities. No matter how exhausted Tang was after work, he would always squeeze in time to play the piano. “Music was like a glimmer in the darkness. In those years, anybody might turn back to others, but music was always there, ready to give me ─ a lonely young man ─ a warm hug,” says Tang. It was a tough time for Tang at that age, but also a precious experience for him to be sure about what he wanted. In 1973, when the Shanghai Conservatory of Music restarted recruiting students, Tang was enrolled for both composition and conducting majors. With his talent and diligence, Tang became a teacher at the conservatory after graduation. He was eager for anything related to music, to make up for the lost 10 years. Renowned Japanese conductor Seiji Ozawa’s visit to China with the Boston Symphony Orchestra in 1979 was the beginning of a new chapter for Tang. He wrote a letter to the Ministry of Culture, asking for opportunities to study abroad on behalf of art students. At the time, many of the opportunities were for science students. 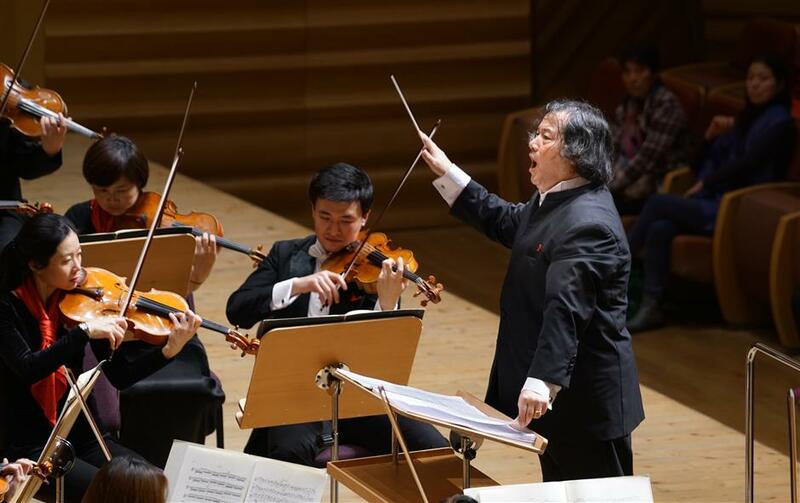 News came that two quotas for studying abroad were given to the Shanghai Conservatory of Music only days after Tang returned from the concert in Beijing. Though not sure whether it was because of his letter, Tang was sure that he should grasp the chance. He studied conducting with Hermann Michael at Hochschule fur Musik in Munich, one of the first art students to study abroad supported by the Chinese government in the 1970s. His international career began after he encountered Herbert von Karajan at an international youth conducting competition held by the Karajan Foundation. After watching Tang’s performance of Tchaikovsky’s “Symphony No. 6” in the final, Karajan invited him to conduct the Berlin Philharmonic Orchestra during the 1983-84 season. The invitation was later renewed. During his two years of study with Karajan, Tang felt most influenced by the maestro’s spiritual pursuit rather than conducting techniques. “Surely he was excellent in conducting. But for me, he was even greater in the spiritual world. He is a powerful conductor carrying everyone’s heart on stage, and he is also a kind man that would greet his audiences and guide young people like me,” says Tang. In those years, Tang kept thinking about what music is for and what a musician can do for the people. Though he had dreamed of becoming a composer, Tang gradually saw the important role of qualified conductors. After working as chief conductor of overseas orchestras such as Gulbenkian Orchestra in Lisbon, Royal Philharmonic Orchestra of Flanders, Queensland Symphony Orchestra and Finnish National Opera, Tang gradually shifted his work focus back to China in 2000. He also brought his daughter back to China for study. “It was just the right time. My motherland needed me, and I was maturely ready for it,” says Tang. 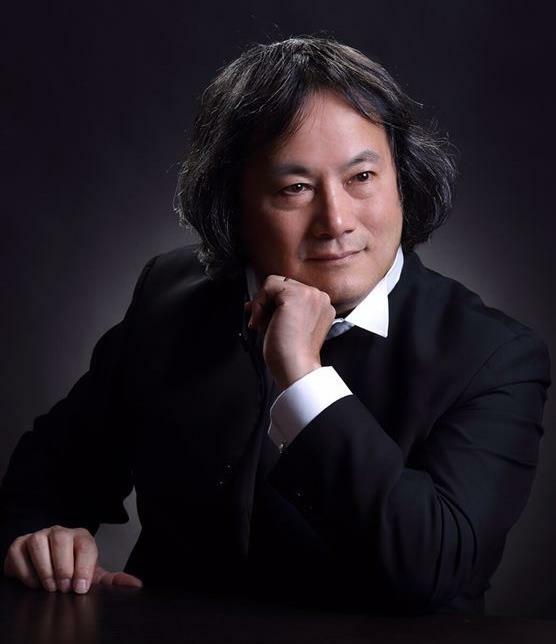 He worked as chief conductor of the National Symphony Orchestra and artistic director of Shanghai Philharmonic Orchestra, the Tianjin Opera House Orchestra and Harbin Symphony Orchestra. He also passionately participated in various training programs such as the “Maestro and Youth” series. 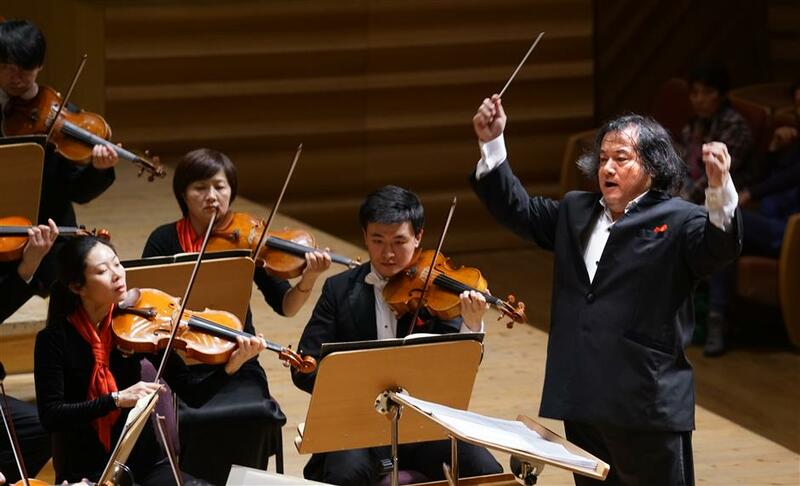 At the new position as resident conductor for the upcoming Shanghai International Arts Festival, Tang is expected to offer his help in selecting the festival-commissioned works, bringing in top overseas artists, cultivating young professionals and popularizing classical music. “It will be a bigger platform on which I can devote more to public programs, which may benefit more of the ordinary people,” says Tang. Tang says he does not have many big dreams. As long as someone finds one of his concerts unforgettable even after 30 years, he will feel complete. “I was saved by music in the dark days, and I hope that it may help bring happiness to more people in their peaks or ebbs,” says Tang. Tang Muhai (right) is to be resident conductor for the upcoming 20th Shanghai International Arts Festival.